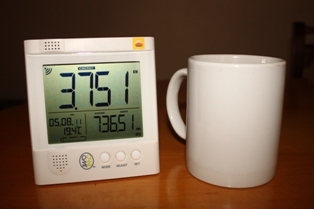 Ever wondered how much electricity you are using and how much it is costing you ? Immediately see the cost of running your geyser, your pool pump, even your kettle ! 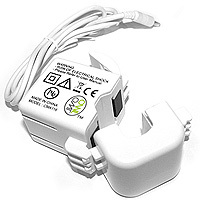 This South African designed product makes this task very easy with a simple to use monitor that instantaneously displays such measurements as KW being used, the cost in Rands/hour, carbon footprint in Kgs, history of the last 30-days usage can be downloaded , via the on-board USB port to a PC for evaluation using the PC software (included). It even has an alarm function that is triggered when a (user defined) KW demand/usage is reached. 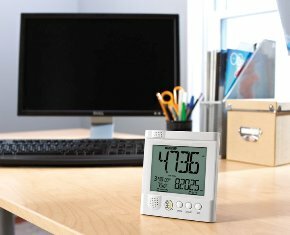 Real time (12 or 24 hour) and date and inside temperature is displayed in all modes. Installation is so easy even our own 10-year old son knew what to do (no he didn't do it :). 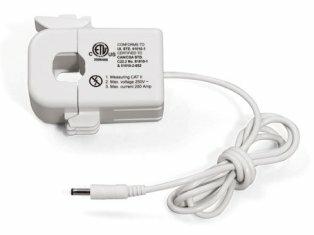 Simply clip the supplied sensor around the feed cable on the meter or in your distribution board, pair the sensor and the desktop unit (like you would do with a Bluetooth device) and the reading on the large LCD is instantaneous. INSTALLATION - NO TOOLS REQUIRED, OR AN (expensive) ELECTRICIAN ! The product is supplied complete with batteries, that is a rarity in this world of electronics, and from unpacking you could be up-and-running in less than 10-minutes. Using the USB cable (supplied) you can download the last 2-years of data on both the SE22 and the SE23 on to your laptop or PC for evaluation at your leisure. Currency can be changed from Rands to UK Pounds, Yen, Euro etc. and various tarrif rates can be entered to suit your location and municipal charges. 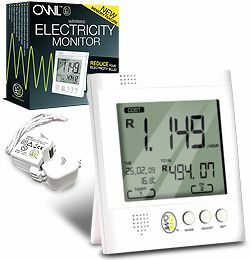 If you have a "Granny Flat" or out-building this product is ideal for monitoring the usage when the main property only has a single municipal meter. 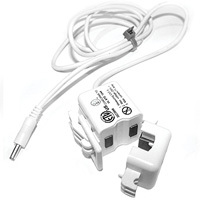 Optional extra - for cable sizes (3-phase) >10mm we can supply the larger current sensor (left).